He (Hermes) found her (Calypso) at home. There was a large fire burning on the hearth. One could smell from afar the fragrant odor of burning cedar and sandal wood. As for herself, Calypso was busy at her loom, shooting her golden shuttle through the warp and singing beautifully. Round her cave was a thick wood of alder, poplar, and sweet smelling cypress trees. Therein were all kinds of great birds which had built their nests – owls, hawks, and chattering sea gulls whose business is in the waters. A vine loaded with grapes was trained and grew luxuriantly about the mouth of the cave. There were also four running rills of water in channels cut pretty close together. They were turned hither and thither to irrigate the beds of violets and luscious herbage, including wild celery, over which they flowed. Even a god could not help being charmed with such a lovely spot. So Hermes stood motionless and looked at it. When he had admired it sufficiently, he went inside the cave. We do agree that celery looks luscious! 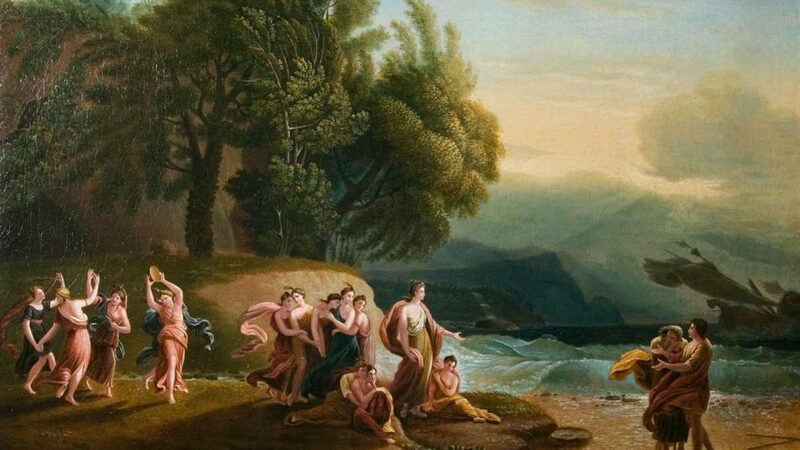 Perhaps Odysseus had the chance to try it during the years that Calypso trapped him on her island during his famous attempt to get home to Ithaca. 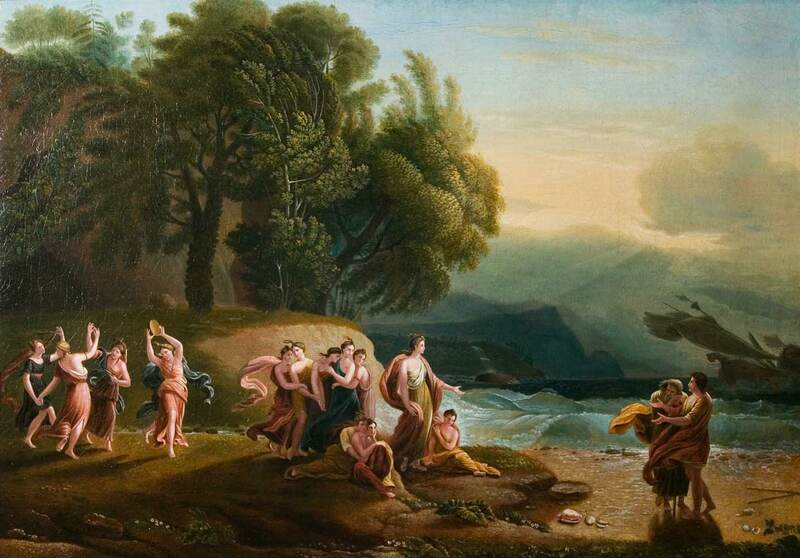 Hermes had to eventually intervene in order for him to be released. Believed to be originally from the Mediterranean basin, celery was cultivated for medicinal purposes before 850 B.C. Ayurvedic physicians apparently used celery seed to treat illnesses like colds, flu, arthritis, poor digestion and other problems. Considered holy in ancient Greece, it was worn during the Nemean Games. The Romans also used celery, though more for cooking than for medical purposes, and the Italians domesticated celery in the 17th Century, leading to more modern strains with stalks, making flavours milder and removing bitterness. Rinse the lentils thoroughly, then put them into a pot with the broth to boil. Skim the top, add the vegetables, and simmer until cooked through, about 30 minutes. If the soup seems too watery, pass some of the lentils through a sieve. Now add the vinegar and honey. Pour into serving bowls and add a good dollop of olive oil (about 2 tablespoons per serving), sprinkling on coriander seeds and salt and pepper to taste. Need more inspiration? Check out our recipes section!